January 17 will mark the first death anniversary of Rohith Vemula. His tragic suicide, nothing short of an institutional murder, caused outrage and a Justice for Rohith movement across the country. One of the demands was for a separate law to protect and defend the rights of Dalit and Adivasi students from the discrimination and injustice embedded or practiced against them in differing degrees in many institutions of higher education. Another more immediate demand was for action under the Prevention of Atrocities against Scheduled Castes Act (POA) against those whose discriminatory actions caused his death. Among those named was the present Vice Chancellor of the Hyderabad Central University, Appa Rao. He had been asked by Delhi to go on leave soon after Rohith's death, more as a protective measure than a prelude to punishment. In March, he was reinstated. But it is not business as usual. 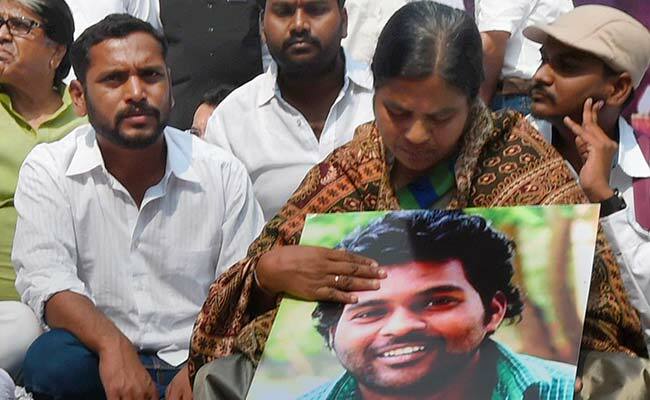 A sustained attempt has been on to discredit the Vemula family and in particular, Rohith's mother, Radhika. The machinery of the State has been utilized to "prove" that Rohith was not a Dalit, that his mother had lied, and that a case on grounds of fraud could be made out against her. Radhika has been subjected to indignity, insult and sought to be humiliated by the authorities on the orders of Delhi. But before discussing those details, let's recall the background. The charge was first made within three days of Rohith's death by then Human Resources Development Minister Smriti Irani in her highly offensive press conference on January 21. 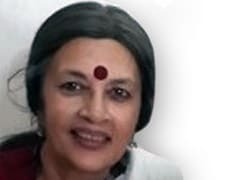 She defended her own actions and those of her colleagues in pressuring the university authorities to take action against Rohith and five more Dalit students on a complaint against them filed by the student wing of the RSS, the Akhil Bharatiya Vidyarthi Parishad or ABVP. Irani said at the time that Rohith was not a dalit. The BJP paraded Rohith's father (estranged from his wife) at a press meet; he said he belonged to an OBC community. And so even before a week of mourning was over, the grieving mother of Rohith was forced to defend herself and reveal to the world her own tragedies. That she had been born into a Dalit family of migrant workers. That she was adopted by an OBC family and never knew her own parents who moved on in their search for work. That her own identity was revealed to her only through the caste abuse she heard from a senior member of her foster family, who never reconciled to the adoption of a Dalit child into the family. That she was married into an OBC family. That she was abandoned by her husband when her children were very small and went back to her adopted parents' home. That circumstances forced her to leave and she subsequently lived on her own with her children, bringing them up on the meager earnings from her work as a tailor. That her children got their SC certificates when they were forced to leave private schools due to strained economic conditions. But neither compassion nor a sense of justice could mar the official determination to prove Rohith was not a Dalit. Officials visited Radhika's ailing mother on February 12 and cross-examined her. She gave them a statement about the circumstances in which she adopted a Dalit girl. She died of a heart attack soon after, some say because of the stress caused by these events. Radhika's father-in-law also gave a notarized statement that he too was told at the time of the marriage of his son to Radhika that she had been born into a Dalit family. All this is a matter of record. It disproved the lies being spread from Delhi. But the efforts did not stop. A one-man Commission of Inquiry by retired Justice AK Roopanwal was set up by Irani to enquire into the "circumstances of Rohith's death and to bring the perpetrators to task" and also to "to review the functioning of the grievance committee and suggest measures for its improvement." The report, submitted to the ministry in October, has not been made public. According to selective leaks to the media, the Commission has devoted a quarter of its report to the caste status of Rohith. If this is indeed the case, then on whose authority did the Commission do so? It had neither the competence nor the mandate to do so. Caste certificates are issued by designated authorities. But even assume for a moment that Rohith's Dalit caste certificate was wrong. How does that change the case? When he was targeted by the ABVP, when he was punished by the Vice Chancellor, when his scholarship was stopped and he was left unable to send any money to his mother, when he was thrown out of his room, those who acted against him did so on the knowledge and belief that he was a Dalit. Their actions have to be judged on that basis alone. Everything else is irrelevant in the case, a convenient sarkari after-thought, which can have no moral or legal sanction. We know this, we also need to know how far official agencies are prepared to go to manufacture evidence to demolish Radhika Vemula's case. On November 2, Radhika was called to the office of the Guntur Collector. Guntur is where she and her surviving son, Raja, live now. The Collector is himself a Dalit. It was he who on the basis of earlier inquiries had submitted a report to the Supreme Court Commission confirming Rohith's Dalit status. What and from whom were the pressures for his subsequent behavior and that of his officials? This was the second call from his office to Radhika. After the Roopanwal Commission submitted its report, her younger son Raja had been asked to deposit all the papers pertaining to his caste certificate and education, which he had done. When Radhika reached the office last month, she found that the father of her children was also present. So were at least 10 officials. She was interrogated for three hours from 2 to 5 pm. Here is a sample of some of the questions she was reportedly asked: Why did you leave your husband? What is the evidence that he was a drunkard and mistreated you? Did you live alone or with anyone else? Did you have an OBC certificate? Why are you lying that you did not have an OBC certificate? Why did you wait to get your sons their SC certificates? Isn't it true that you claim to be a Dalit only to get benefits? And so on. She was treated as though she was a criminal. She was humiliated in the presence of the man who had abandoned her. She was asked totally irrelevant questions. Her life was subjected to scrutiny. She was not offered any water, nor was there a toilet available. Her daughter Neelima had also been called. She too was asked all kinds of questions. Weeping, she pleaded with her mother to "give up everything and stay at home." The officers were pleased. But not pleased enough to show even a little humanity to her 3-year-old child. They were rude when Neelima tried to feed her a biscuit. "Don't dirty our office," they said. Officers who so flagrantly misuse their power and position to threaten, intimidate and bully a Dalit woman and her family, a woman in grief for her lost son, a woman fighting for justice - have such men any right to stay on in those positions? Is there no accountability, no minimum norms to be observed? Such is the power of the Delhi diktat that no officer dares to question, or be anything other than subordinate and subservient, however repugnant the order might be. Radhika Vemula has found strength and anger in her grief, she has been transformed from a heartbroken mother to a symbol of resistance inspiring thousands of young people with her courage and fortitude. She is unwell. But once again, she has had to take up tailoring to ensure survival. She has no home. Promises by the Andhra Pradesh government for five lakhs in compensation and a home disappeared as fast as the headlines did. This is the message from Delhi and its allies: compromise and you will get a "benefit," but the day you link your "case" with the wider cause, you will be doomed to harassment, suffering and misery. 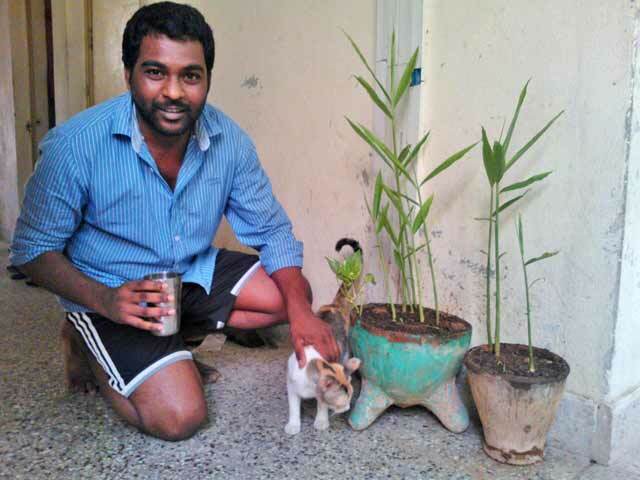 One year after Rohith's death, the demands of this government acquire an added urgency. Justice for Rohith must also include justice for Rohith's family. Let the government make public the Roopanwal report, and its official reaction to it. Action on the FIR under the Prevention of Atrocities Act against Appa Rao and others must be taken. The law for the protection of Dalit and Adivasi students is essential. You can reach Radhika, you can help her, you can offer support and solidarity.